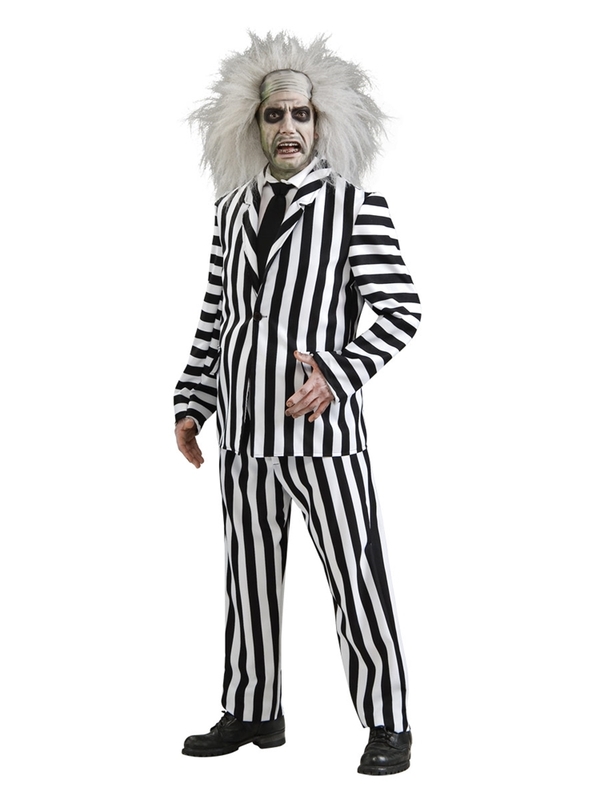 The Beetlejuice Deluxe Adult Mens Costume includes an extra-bold, black and white striped suit in comfy, finely tailored 100 % polyester; luxurious to wear and easy to maintain. Comes with the pants and jacket, and an attached dickie. You'll be rockin' and rollin' in the grave this Halloween! Shoes and makeup are not included. This is an officially licensed Beetlejuice costume.